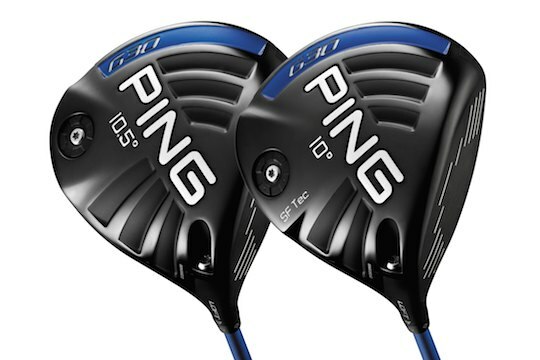 In only its second month on the market, the PING G30 driver achieved the #1 sales position for units and dollars in the on- and off-course retail channels combined for the month of September in the United States and the United Kingdom, according to Golf Datatech LLC, which tracks golf equipment sell-thru data for both regions. The driver, which features an industry-first innovation called Turbulator Technology on the club’s crown, was introduced to golfers on July 31. Since its launch, demand for the driver has reached unprecedented levels for the company throughout the world as golfers realize increased clubhead and ball speeds, leading to more distance. The G30 driver also features the highest MOI of any PING driver ever designed to ensure golfers the accuracy and consistency to hit more fairways. Tour acceptance has also been swift, with the majority of PING’s staff converting to the new G30 driver immediately. Angel Cabrera won The Greenbrier Classic the first week the driver was on the PGA Tour. Bubba Watson also put the G30 driver in his bag that same week. He finished the PGA Tour season No. 1 in driving distance with an average of 314.3 yards, including launching the longest drive of the season – 424 yards – at the Bridgestone Invitational. Billy Horschel’s switch to the new driver gained him 12 yards off the tee and played a big role in helping him win the FedExCup. After putting the G30 driver in his bag, he won twice, finished second and earned more than $13.4 million.